In today's show we are pleased to speak to Jim Burris from The St Louis ASL Club. 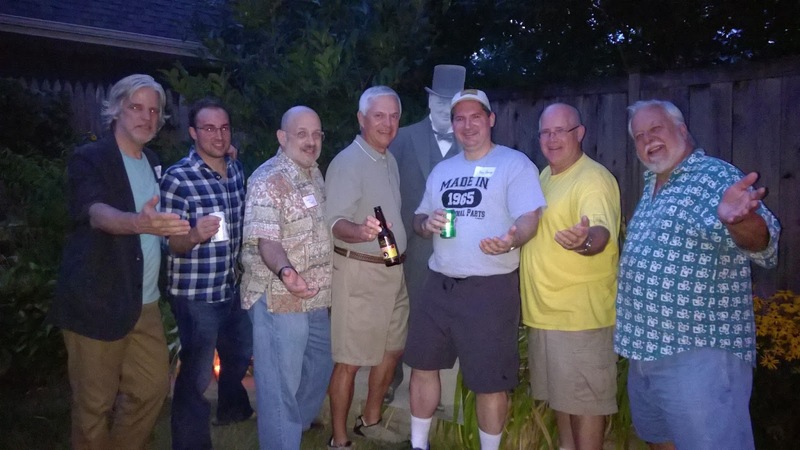 Jim had plenty to talk about as most of the interview took place during the 2015 St Louis ASL Tournament, an annual event run by Jim and his cadre. But beyond the excitement of the tournament in progress, Jim et al had also just launched their first major historical project, China-Burma-India: The Lost Theater (Part I: The Japanese Invade: December 1941 - May 1942) and Jim tells us all about it. Then Dave and I crack open the aforementioned historical pack for a look-see. We were impressed. So will you be when you get yours. 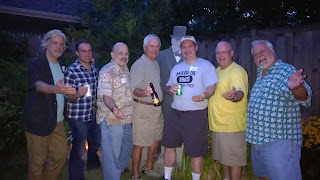 An auspicious collection of great ASL minds . . .
Never have so many known so much about so little. Delightful pic of Winston and company. I'm sure he would have enjoyed himself had he been there. LOL...ASL community is thorough....that's a VERY polite way to put it. I had the opportunity to see the Jefferson Barracks WWII reenactment back in 1990. They had a German Hetzer facing off against a US half-track and a 40mm Bofors gun that shot tennis balls. It was a lot of fun as I recall. I think your were searching for Savile Row in regard to Churchill's suits. In the section were you discussed how PBF or TPBF can cause huts to catch fire when you only have an MG or small arms fire, I've read one of the reasons for doubling or tripling FP at point blank is the use of hand grenades which only have a short range - and grenades could cause a fire to break out. Thanks for the great show, I'm a huge fan. 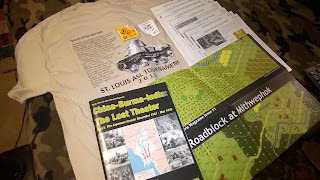 Just received the St. Louis scenario/ campaign pack today. Without having played any scenarios, wow, does this look good. And it's on maybe my favorite period/ subject to game in ASL. I love the historical map, and the mini campaign just says 'play me!'. Great job, and congratulations to Jim Burris and company. Instead of a contest for the St, Louis Burma pack, have you guys considered doing a raffle? I'd kick in a $5 raffle ticket for a chance to win that beauty. We have considered it and were under the impression that there were some legal issues with it. Feel free to join the contest and make a donation.....or buy a hat!